We manufacture Paper Slitter Rewinder Machine which can be used for slitting of any types of GSM Paper. 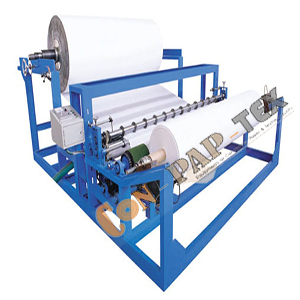 All types of Double Drum Type Paper Slitter Rewinder Machine are manufactured by us, which available up to 6000 mm. Copyrights © 2019 Conpaptex Equipments. All Rights Reserved. Conpaptex Equipments reserves the right to change specifications & design without prior notice to incorporate latest development.